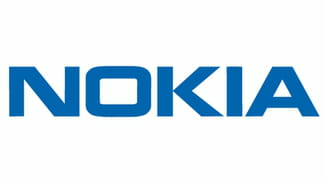 If your Nokia phone has slowed down considerably or isn't working properly, it may be necessary to proceed to a reset. A reset will allow you to regain control of your device by clearing out any data or bugs that may be causing your phone to function abnormally. This article will introduce you to some simple solutions that you may use to improve the functionality of your Nokia device. It will also walk you through the steps of resetting your phone. There are a number of reasons that may explain why your device is not working properly. The most common issues arise when your internal memory is full or when you have an issue with your Micro SD external memory. If you believe that this may be the case, we recommend deleting any unnecessary files from your phone (including text messages, photos, etc.). If your phone works properly following the sweep, a reset may not be necessary. If the problem is not being caused by a full memory, we recommend proceeding with a reset. Please note that resetting your phone will restore everything back to its original factory settings. All data will be lost. We highly recommend that you do a backup of all your data before moving forward with the reset. A soft reset will clear all pending tasks and errors. To proceed with a soft reset, simply enter *#7380# into your keyboard. This function should work on almost all Nokia mobile phones. If doing a soft reset does not restore your phone to proper working function, you may have to proceed with a hard reset. Note that a hard reset will completely wipe your phone of all data. We recommend that you back up any important information on your phone before proceeding. To perform a hard reset, enter the code *#7370# into your keyboard, and then press Yes to confirm. N.B. A hard reset may also be performed on a phone that won't turn on. You can do this by simultaneously pressing on the On/Off + * + 3 keys. Some forums have reported that you can make your Nokia 97 work smoothly after a crash without formatting it. To do this, first turn off your phone, and connect your phone to your charger. Remove the charger when the screen lights up, and then, wait until it goes off. Turn your phone on immediately after using the Power button on top. After the vibration at start up, plug in your charger. To reset your Nokia 5800, press and hold the Green + Red + Camera + On/Off buttons simultaneously. You can reset your Nokia N97 by pressing the Power + Space + left arrow + up arrow simultaneously. Head to the main menu of your device > Settings > Phone > Phone management. Then, click Factory Settings > Delete Data and Restore. To perform a hard reset, turn off your phone, and then, press and hold the volume down + Camera + menu keys. Press the power button until your phone vibrates. Published by netty5. Latest update on August 27, 2017 at 12:51 PM by Daniel Telele. This document, titled "How To Reset a Nokia Phone," is available under the Creative Commons license. Any copy, reuse, or modification of the content should be sufficiently credited to CCM (https://ccm.net/).